A local investor acquired the Dandenong CBD gateway site for $1.53 million. Fully leased to two tenants on 5 5-year deals, it has a two-storey 514sqm building on a 274sqm triple-fronted site zoned Comprehensive Development, and is positioned opposite Dandenong Market and Palm Plaza shopping centre. The 152sqm building home to fish and chip shop Archie’s is on a 216sqm site and sold for $658,000, at a 5.3% yield. Sushi Sushi took a 5 5-year lease over the 75sqm building at $65,000pa net. The Qudos Bank branch sold to a local for investor for $1.5 million at a 4.58% yield. The property has a 190sqm building on a 228sqm site with six on-site parking spaces, and has a 5 5-year lease to the bank. St Vincent de Paul leased the 750sqm showroom, on a 2,397sqm site with 19 parking spaces, on a 5-year deal with three further 5-year terms at $100,000 per annum. The partially-leased 448sqm office building has 14 on-site parking spaces and sold for $2.755 million. Suite 208 of 60sqm, within the QT Building, sold for $587,000. The purchaser will occupy the premises once its lease to a digital business ends in June 2020. An owner occupier paid $762,500 for the 175sqm fitted-out office suite, which includes seven parking spaces and is located in the Uni Park precinct. Another owner occupier purchased the 163sqm suite for $812,000. A dance studio that previously occupied the 475sqm office and warehouse building sold the property for $920,000, and the new owner will use it for a children’s arts studio. The 100sqm strata office suite includes one parking space and traded for $595,000. 4WD Supacentre leased the 10,196sqm distribution facility, which includes 1,074sqm of office space and 92 on-site parking spaces, on a 3-year deal at $95/sqm net. Crest Cormix, an international coating specialist company, leased the 773sqm showroom and warehouse property on a 5 5-year term at $80,000pa net..
Zoned Mixed Use, the 1,106sqm site near Lygon Street changed hands for the first time in more than 70 years for $4.3 million. A new mixed-use development in Melbourne’s north-east suburb of Doreen is now fully leased, as operators look to capitalise on heightened demand for hospitality and services retail in areas of concentrated population growth. Fitzroys’ Ervin Niyaz negotiated the respective off-market leases at 111B Elation Boulevard on behalf of developer APD Projects, ahead of expected completion by July. F45 agreed to a 5 5-year term at $75,000 per annum net at the 300sqm corner space at Shop 1. The operator also owns the Mill Park F45 studio. HK Hospitality Investments leased Shop 3 at $45,000 per annum net on a 10 5-year term, and will trade as Victoria’s Pizza & Beyond, adding to their Melton site and ahead of several other planned stores over the next 12 to 18 months. Shops 4 and 5 were combined off-the-plan into one 160sqm space and has been leased to an Indian restaurant at $68,000 per annum net, also on a 10 5-year term. The directors of business own a pub in a neighbouring suburb, a local café and a restaurant in Melbourne’s inner east. The new tenants will join Run With Me gym within the retail component, which forms stage two of the development. Full occupancy follows Fitzroys’ successful leasing and sale campaigns of the APD Projects developments at 121 Elation Boulevard and 111A Elation Boulevard nearby. Scots’ Church’s historic five-storey Assembly Hall building, in the prized Paris End of Melbourne CBD’s Collins Street, is now fully leased after five character office suites were leased to tenants across a range of sectors. Stephen Land and Sam Friend of Fitzroys negotiated the deals. The five suites, across the ground and second floors, cover a total of 172sqm and the leases will initially bring in a combined rent of circa $94,000 per annum gross plus GST. William Angliss Charitable Fund will move into about 50sqm at Suite 2.9; Suite 2.7 of 23sqm was leased to a photograph editing studio for 3 3 years; and Suite 2.8, also of circa 23sqm was leased to Enable Workplace Consulting for 3 3-years. Land said the Gothic Revival-style Assembly Hall offered rare self-contained offices in the coveted east end of Collins Street. Designed by Henry H. Kemp and built by Swanson Bros. in 1914, it sits immediately in front of Westpac’s modern headquarters and is adjacent to the 1873-built Scots’ Church, on the corner of Russell Street. “Assembly Hall has retained its historic character over more than a century, an element that continues to draw tenants across the boutique office market,” he said. Also in the CBD’s east end, Dexus is poised to stamp its presence further on the precinct after entering due diligence with QIC for the 80 Collins Street mixed-use complex, in a deal that is expected to be worth more than $1.3 billion. The development is positioned across Exhibition Street from the 52 and 60 Collins Street corner site that Dexus acquired over two separate transactions last year for $230 million, with plans to build 35,000sqm office complex. The 80 Collins Street property comprises an existing 52-storey tower, previously known as Nauru House, around which QIC is developing a 39-storey office tower that is currently more than 50% leased, and a 300-room hotel and retail complex. 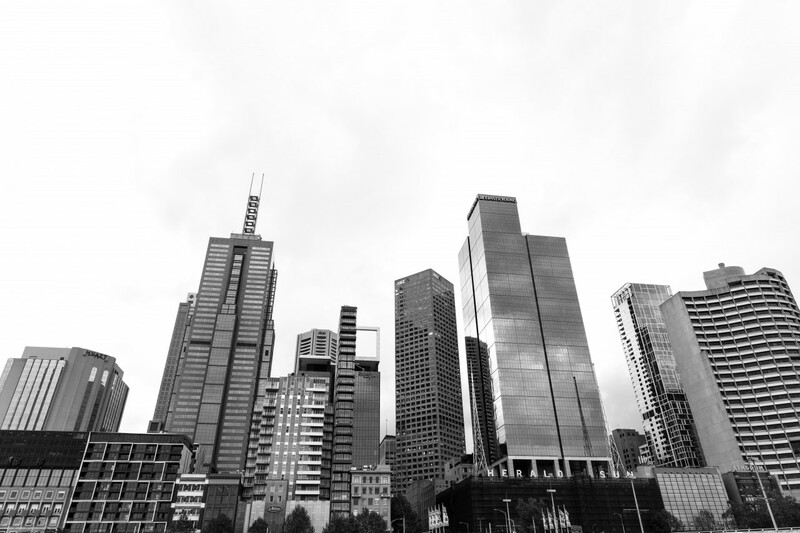 Melbourne remains on growth path: Melbourne’s population growth continues to lead the country, according to the Australian Bureau of Statistics, with 2.5% growth over 2017-18, at a total of 119,421. The population as at the end of June was more than 4.963 million, and the city is on track to become Australia’s biggest by 2026. The ABS said most of Melbourne’s population growth was due to net overseas migration, accounting for 65%, with a natural increase of 30% and net internal migration of 5%. The rest of Victoria’s growth of 1.3% was the equal-fastest among regional Australia. Total population growth across the country for 2017-18 was 391,000, at 1.6%.